Sandeel’s are the mainstay diet for many UK fish species including Bass, Cod, Whiting, Turbot and Rays to name but a few. Bass and Rays are particularly fond of them. 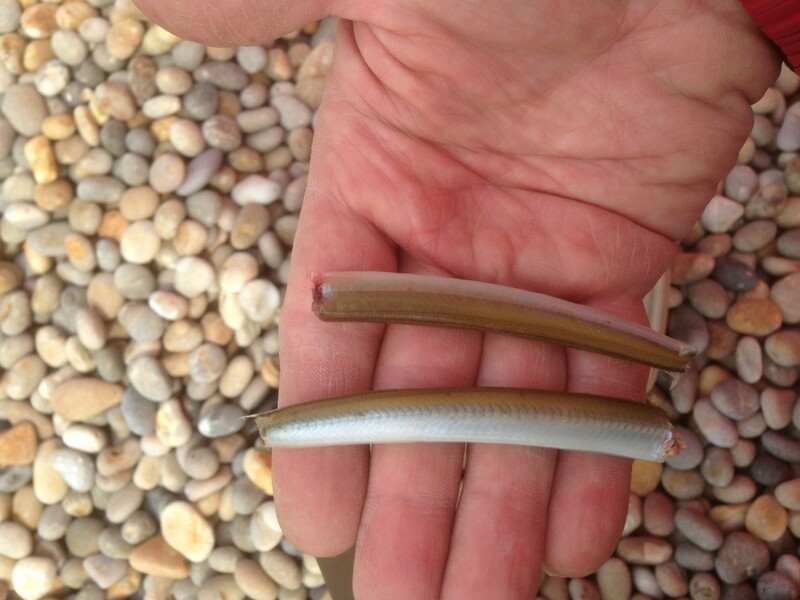 Without a doubt live Sandeels are an exceptional bait, and could arguably be classed as the best live bait you can use. However obtaining, keeping, presenting and casting a live Sandeel, presents numerous problems. Thus making them impractical for most occasions when fishing from the shore. Blast frozen Sandeels on the other hand, are easy to get hold of and fairly cheap. 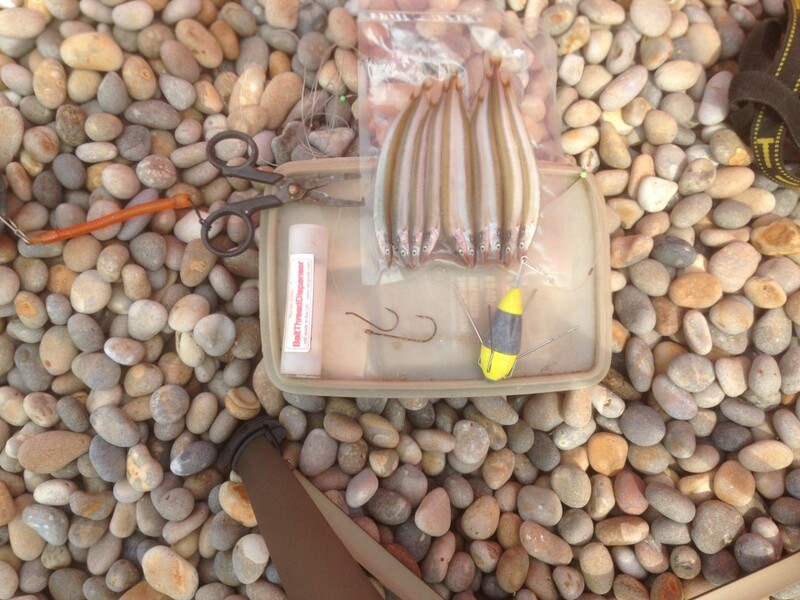 Allow them to thaw out before using them, this helps when you are trying to rig them. 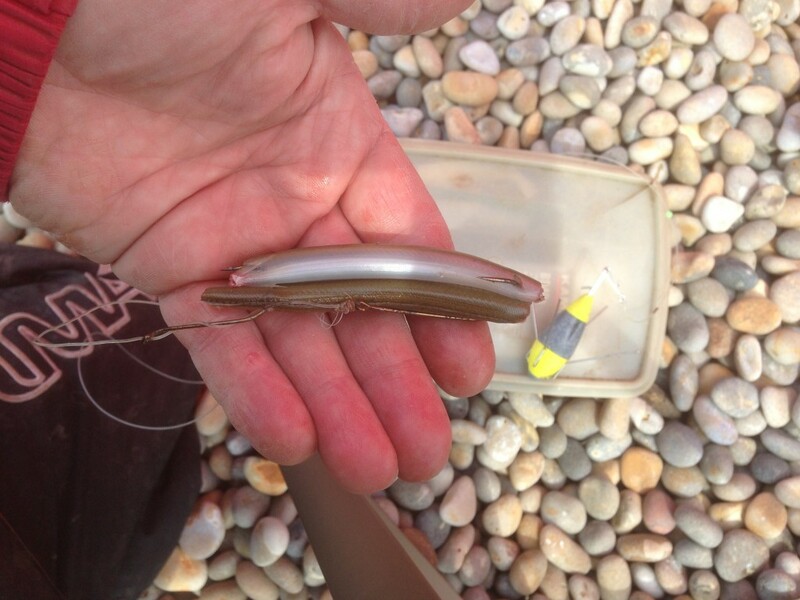 You will need the following: A 2/0 or 3/0 Pennel rig, Sandeels, scissors or a knife and some bait elastic. From your pack of Sandeels, select two that are roughly the same size. With your scissors or knife, cut the heads and tails off them, and try and make them the same size. 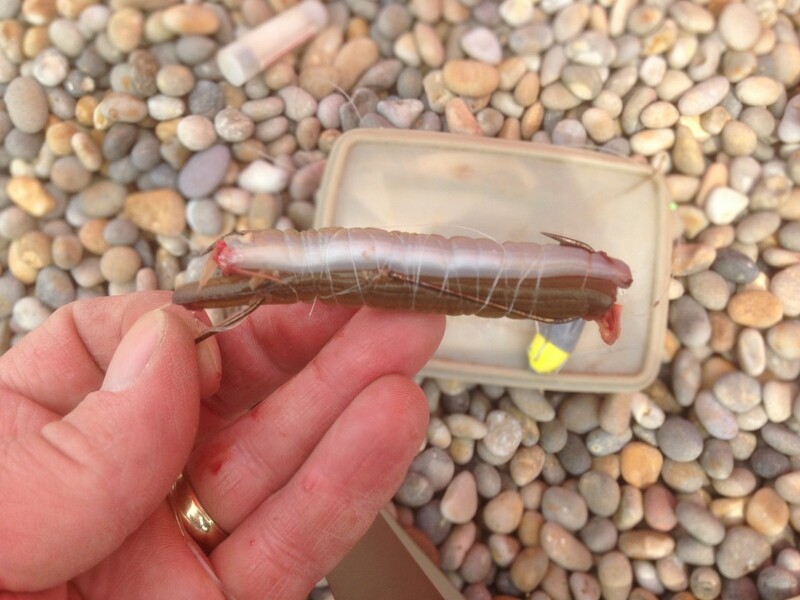 The reason behind this is to make them easier to rig, give better bait presentation and release scent. Position the Sandeels so that they lie head to tail with each other. Hook one Sandeel through the top section and the other through the tail section, on the the bottom pennel hook. Twist and flip the Sandeels so they lay along the length of the bottom hook, then using the top pennel, hook them through the opposite head and tail section (it is easier when you see it on the video). 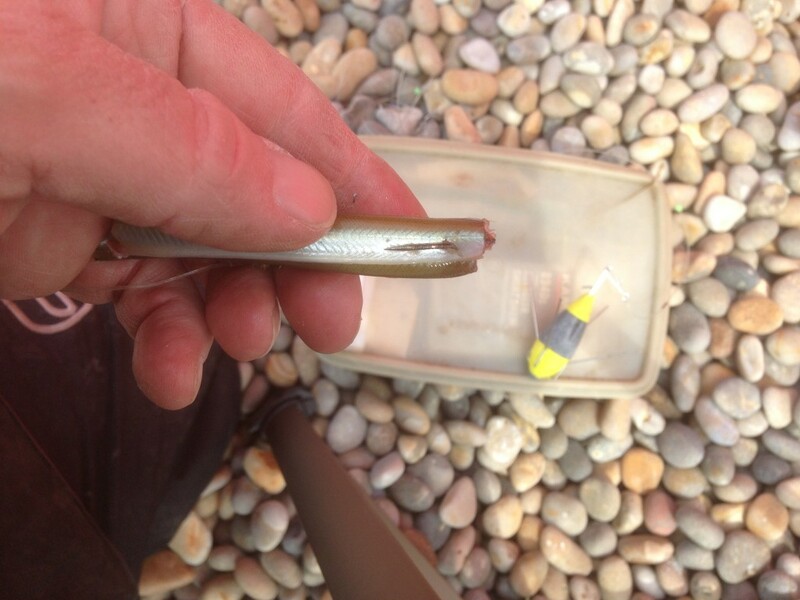 Using your bait elastic, firmly bind the Sandeel on to the hooks. Starting at the bottom and working your way up. Ensure the hook points remain uncovered. I have included a video so you can see the steps in action. 4 Responses to "How to rig and hook a Sandeel"
John in the past I would have agreed, but having spent over a year refining my weedless lure fishing techniques I would now disagree. I started using similar techniques with my bait fishing. I have spent hours capturing under water video footage using my HD Hero Gopro camera. I was astounded by the results. Fish often play with a bait before taking it. When overly large hooks are used the fish often get pricked by the hook and bolt (great if you are using a hair rig for Carp). With a more compact bait they are more likely to start feeding on it and then become hooked resulting in a higher hook up rate. Perhaps I could give you a lesson on weedless techniques and show you how they can be applied to traditional bait fishing methods to increase your catch rate. Unconventional thinking is what drives and develops new techniques. 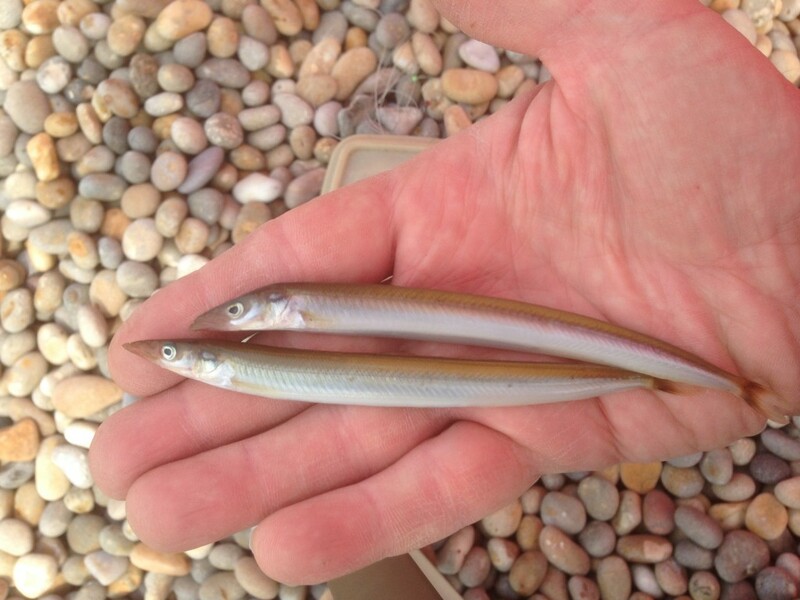 I’ve fished the same tactics on Chesil and had some lovely whiting. Great vid!